There are many great things to do on a trip to Texas, but you need to make sure to put Grapevine, Texas, on your itinerary. Shop in the historic downtown area, buy art in the numerous art galleries or take a ride on the vintage train. You will find a delightful selection of restaurants serving every cuisine imaginable. 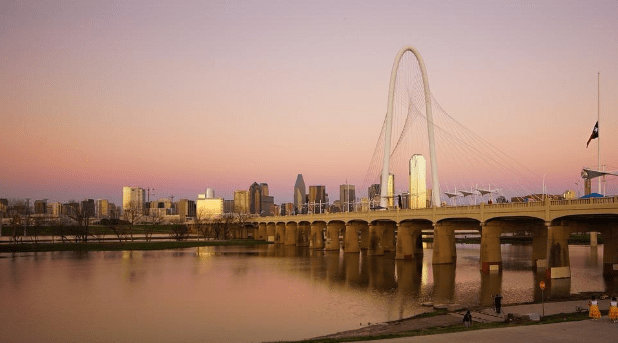 With so many different opportunities available in Grapevine, you will want to spend a night or two in this city located just about 23 minutes northwest of Dallas. Check out these great hotels in Grapevine. The Hyatt Place Dallas/Grapevine is located near all the Metroplex Attractions you want to visit like AT&T Stadium, Six Flags Over Texas and Legoland Discovery Center. You are also close to Grapevine Merchant Mall, which is a great place to pick up presents for those left at home or those things you forgot to bring with you. Start each day with a fresh breakfast. While there are lots of dining options in the area, you cannot go wrong when you dine from the 24/7 Bar Menu. It also makes a great place to pick up a bite before a long flight. A well-equipped business center and free WiFi makes it easy to work when you choose this location. When you time to visit Grapevine is over, use the complimentary DFW Airport shuttle to skip all the hassles. If you are bringing your family with you to Texas, thrill them with a visit to the indoor water park at the Great Wolf Lodge. While they will have fun on the waterslides and playing in the lagoon, you can soak in the hot springs. Theaters, rope courses and the arcade are just a few of the things to keep the kids busy at this Grapevine Hotel. This hotel has an amusement park atmosphere, so it may not be the best choice for couples or those who are on a business trip. If you are looking for a hotel for a special occasion, then the Gaylord Texan Resort may be the perfect place to stay. You can relax in the two swimming pools. Stroll in the 4.5 acres of indoor gardens. This facility is enormous with 10 restaurants serving a variety of different cuisines. Treat your someone special to a treatment in the spa. Many of the extras at this hotel come with a special resort fee on top of the highest room rate in Grapevine. Grapevine, Texas is a thriving place to visit in Texas. If you are looking for hotels in Grapevine, then consider these choices. Each of these hotels in Grapevine have their own target audience, so make sure to choose the one fitting your needs the best by considering what you want to do during your stay in Grapevine. If you are a business traveler or plan to spend most of your time away from your hotel, then consider the value for your money that you are receiving when you choose a hotel in the Metroplex.